Accra, one of Ghana’s largest cities. Republic of Ghana (Ghana), is a sovereign unitary presidential constitutional democratic country located along the Gulf of Guinea and Atlantic Ocean, in the sub-region of West Africa. Ghana covers 238,535 square kilometers and approximately has 27 million people. Its diverse geography and ecology ranges from coastal savannahs to tropical jungles. Ghana is rich in natural resources like gold, timber, diamond, cocoa, manganese, aluminum, fishery, horticulture. The country recently discovered a 3 billion barrel oilfield. Even though the second quarter of 2015 exports decreased to 2703.50 USD Million from 2884.70 USD Million in the first quarter of 2015, the export brings in huge profit to the country. Ghana’s major export partners are Netherlands, Burkina Faso, South Africa and United Kingdom. Ghana’s economy grew by 7.29 % in the past 15 years. The growth was fueled mainly by the services sector and the construction industry. The economy has been slowing since 2014, due to lower commodity prices. A fiscal crisis has led the country to sign a three-year aid deal with IMF in April, 2015. Ghana Statistical Services expect a 4.1 percent GDP growth for 2015, from a 3.5% previously estimated. Ghana’s economic plan, “Ghana Vison 2020”, envisions rapid economic growth, eradication of poverty and improve citizen quality of life through private investment and become the first developed African country by 2020. Ghana’s vision focuses more on private sector growth, infrastructure growth and industrialization. This provides more opportunities to foreign business investors and entrepreneurs. Because of these reasons, investing in Ghana is an optimal solution to enter into the African markets. However, before incorporating in Ghana the foreign investors should be aware of the joint venture partner requirement or Ghana shareholder requirement. The individual must be an actual partner rather than a nominee. Since Ghana still is a corrupted country it will be beneficial for businesses/investors to have someone on field. Besides that, Ghana companies with 100% of shares belonging to a Ghana citizen requires only US$150 as a shared capital. 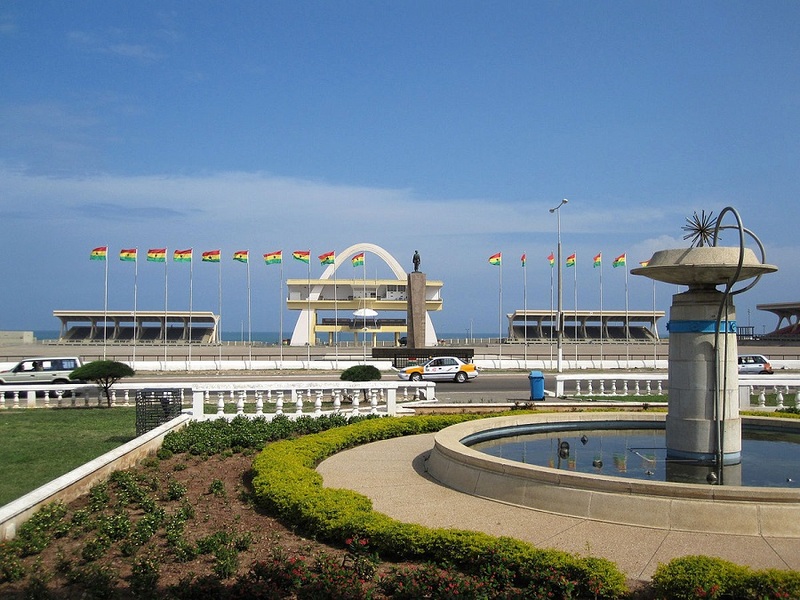 Whereas, according to Ghana’s investment promotion law, which was updated in 2013, joint ventures in companies with at least 10% ownership by Ghanaian citizens require minimum capital of US$200,000. Most importantly, a wholly foreign-owned business require minimum capital of US$500,000, increasing to US$1,000,000 for “trading” business, which includes companies buying and selling imported goods and services. Once all requirements are met, forming a company in Ghana is relatively quick and uncomplicated. With the assistance of a high quality corporate service provider, it can be completed in approximately 12 days. If you are interested in Ghana business setup, write to or talk to our business experts on +65 6735 0120. Photo credit: “Independence Square, Accra, Ghana” by Rjruiziii – Own work. Licensed under CC BY-SA 3.0 via Commons.